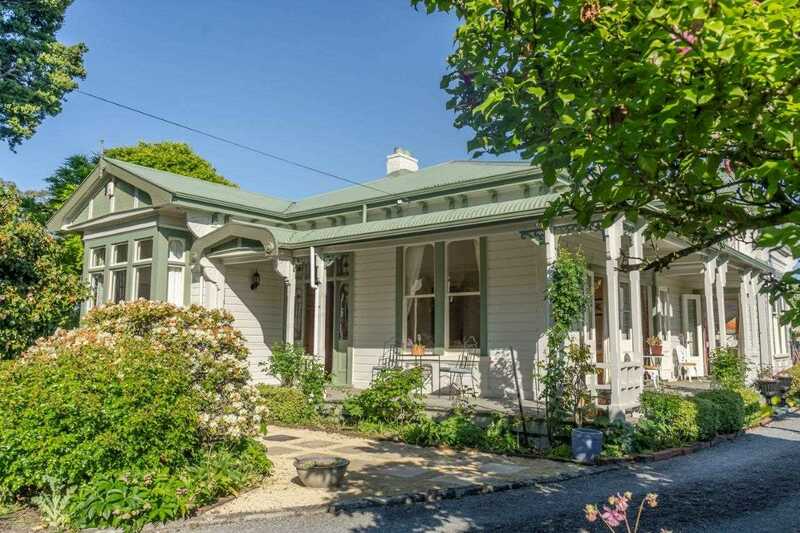 Quietly tucked away out of sight is this magnificent historic home "Totaranui" - located at the end of Kuratawhiti Street - one of Greytown's most prestigious locations. Situated just a few minutes' drive, or a pleasant stroll to the village, Totaranui is nestled in a very private 3602m2 section set amongst glorious landscaped formal gardens, mature trees and a breath-taking rural outlook over the Tararua Ranges and just a short walk to the river. The beautiful historic villa is graced with exquisite period features, and has been carefully extended and fully renovated, both inside and out. The home comprises of four double bedrooms all with built in wardrobes, 2 bathrooms, magnificent formal living room for entertaining with the original pressed tined ceilings, and a dining room that opens through French doors onto a picturesque verandah and rural vistas. The hub of the home is an open plan kitchen with ornate coal range that flows to the family/TV room which is drenched in all day sun. Attention to detail has been paramount and it shows - particular emphasis has been placed on ensuring the home is warm and cosy in the winter and summer entertaining is a breeze, with fantastic indoor outdoor flow to a stunning courtyard, for alfresco dining. Garaging is plentiful and an outbuilding ripe for renovation into separate accommodation or a home office. Homes such as this are seldom available - don't delay call Jaime today.